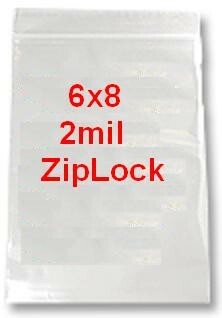 1000 6x8 2mil CLEAR ZIPLOCK BAGS 1,000 baggies 6" x 8"
Up for sale is 1000 Ziplock Bags! 2x4 2mil CLEAR ZIPLOCK BAGS baggies 2"x4" jewelery dime plastic poly . 2x5 2mil CLEAR ZIPLOCK BAGS baggies 2"x5" jewelery dime plastic poly .